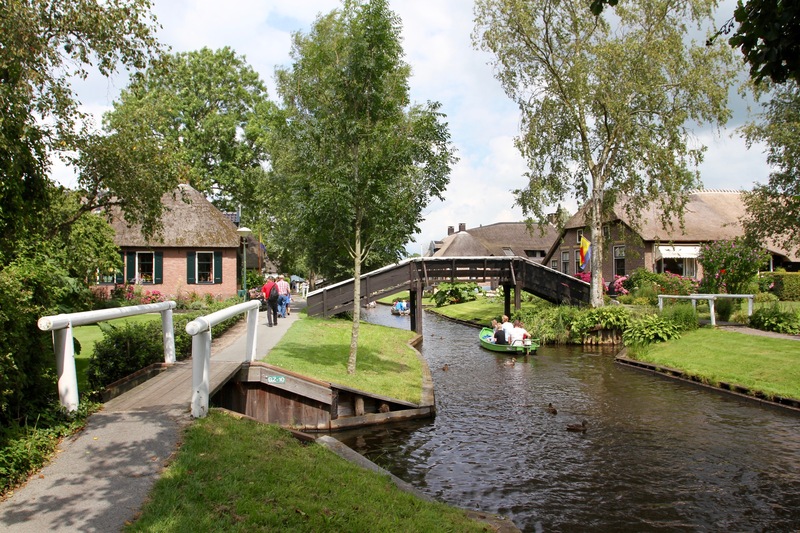 I went to Giethoorn because a colleague who’d visited told me it was a “lovely little village”. 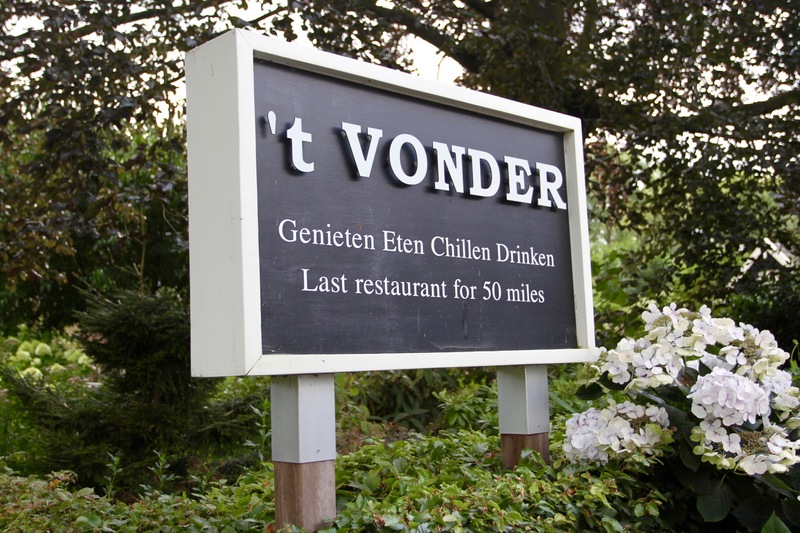 The village website temptingly describes it as “quiet”, “serene” and “remote”, a place where the loudest sound is the “quacking of a duck”. 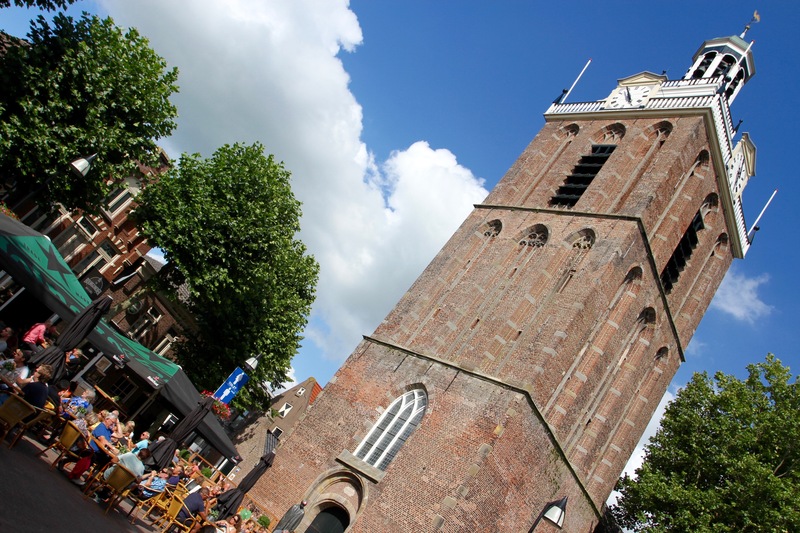 I’m sure Geithoorn is wonderful under normal circumstances, but a sunny weekend in August is far from normal … at least I hope so for the sake of everyone who lives there. 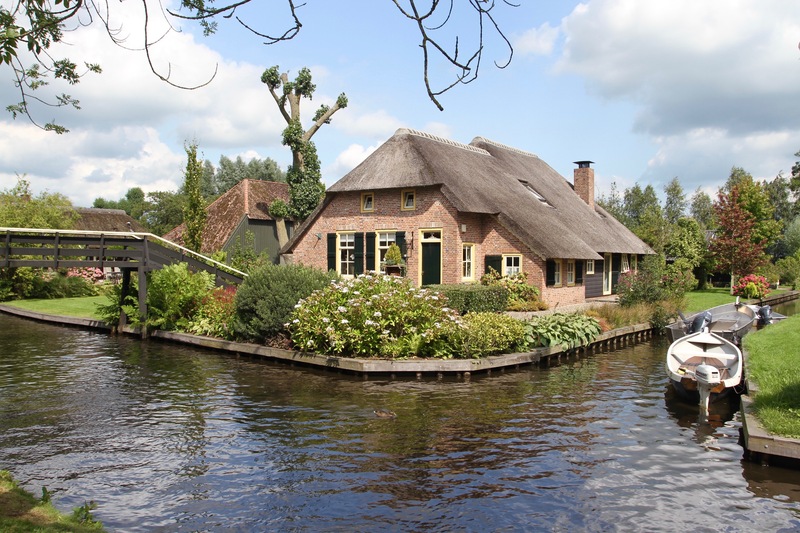 There’s no doubting Giethoorn’s appeal. 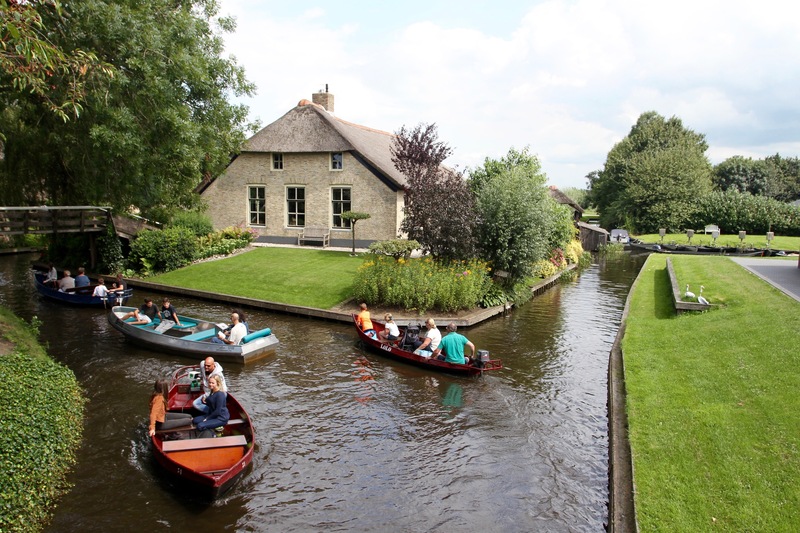 Beautiful wooden houses, with thatched roofs and perfectly manicured gardens, are built on dozens of narrow canals. There are no roads through the village and the only footpaths are too narrow to walk in anything other than single file. 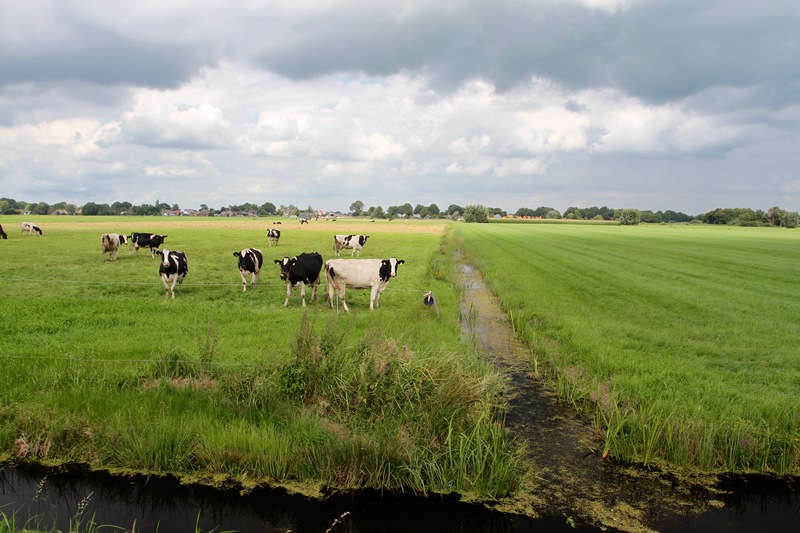 In the past, farmers moved their livestock by rowing them around in boats. As advertised, there are a lot of ducks, some of them even quack. 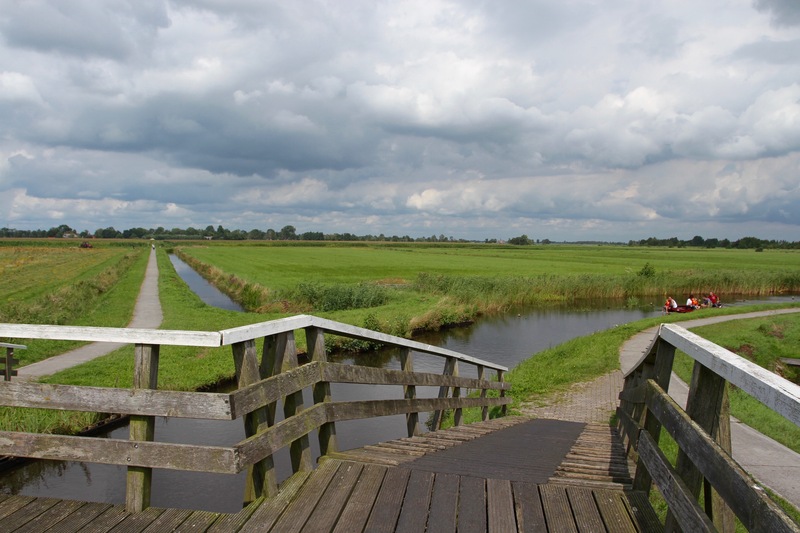 Much of the surrounding countryside is a national park and is criss-crossed with cycle and walking routes. 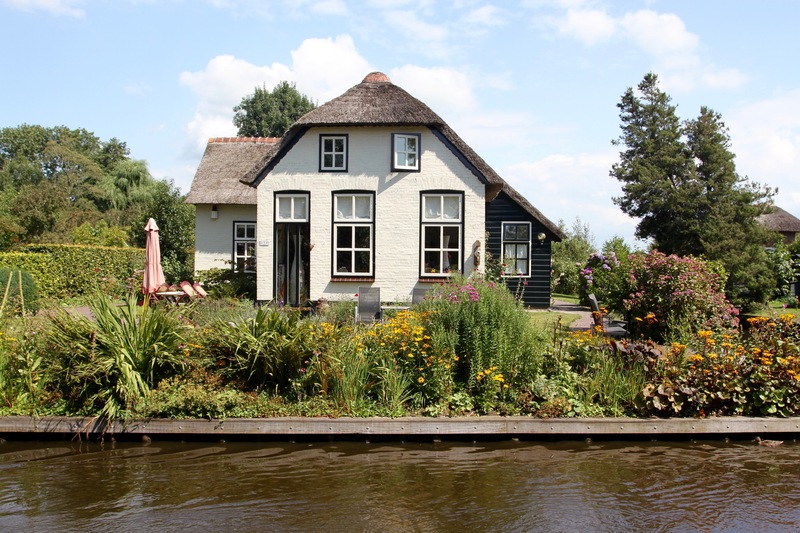 I was lulled into a false sense of security by the calm and picturesque landscape as I cycled from Meppel to Geithoorn, but my arrival in the village was a rude and unpleasant awakening. Tourists, from all over the world, had overrun the village. 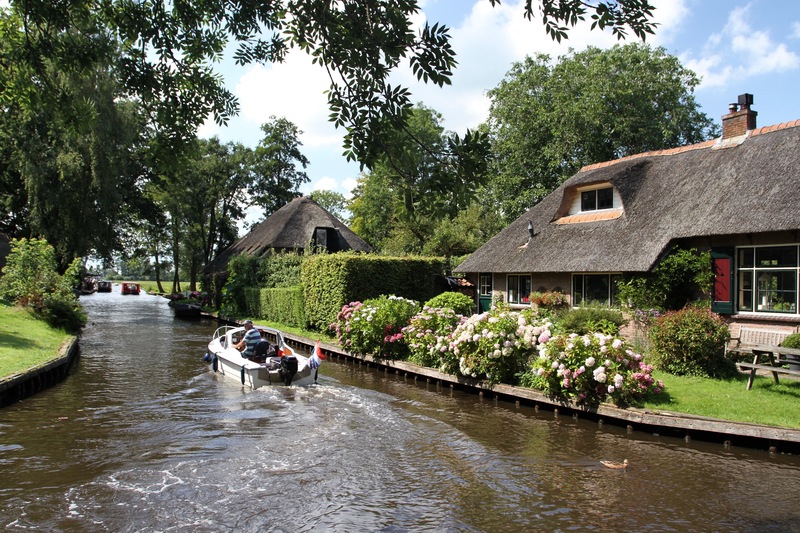 I never thought I’d say this, but Giethoorn was almost as touristy as Amsterdam’s central Canal Belt. There weren’t any British stag parties but, like Amsterdam, there were boatloads of tourists careering around like lunatics. I stood and watched with a mixture of shock and bemusement as dozens of tourist boats, crammed into tiny canals, crashed into bankings, into bridges and into each other. It was mayhem on the water, and it wasn’t much better on land. Large, noisy groups of domestic and foreign tourists crowded down the narrow paths, and across even narrower bridges, creating pedestrian bottlenecks and traffic jams all around the village. That didn’t stop self righteous and aggressive Dutch cyclists from trying to cycle through the crowds – a display of wilful disregard for their fellow human beings. On days like this, it must be impossible for residents to do even the simplest of tasks. I saw a lot of “For Sale” signs, perhaps a dozen houses in total. In a village this size that’s an awful lot of people trying to move away. 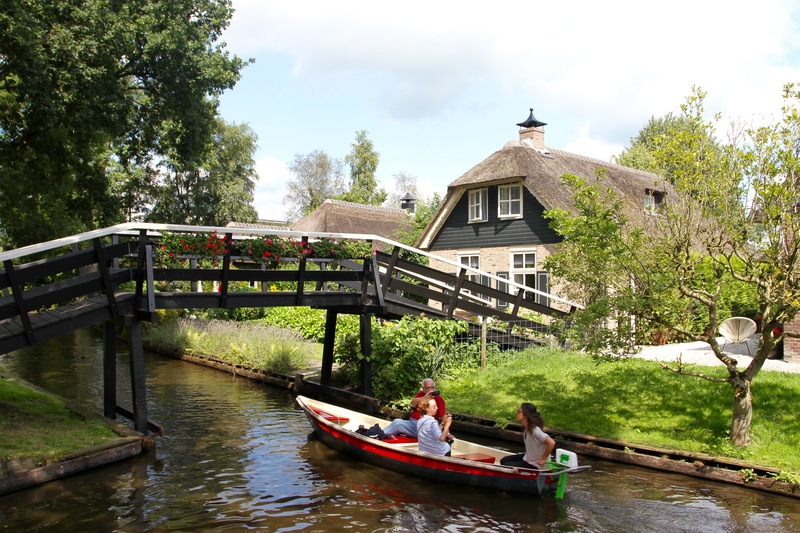 I watched the antics of tourists, and realised that if this was what summer in Giethoorn was like I’d not want to live here either. Not for nothing are there ‘Private’ and ‘No Entry’ signs in a variety of languages. 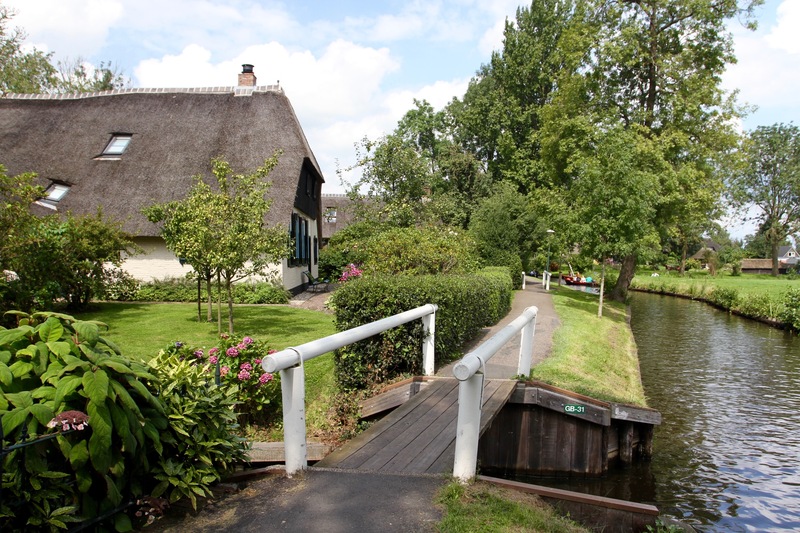 I’d planned to visit the museum, ‘T Olde Maat Uus, a well preserved example of a traditional farm and fisherman’s cottage where there were people in period dress reenacting life from 150 years ago. This is normally catnip to me, but the whole place was swamped with tourists and tour groups. I made a mental note to come back in the depths of winter. 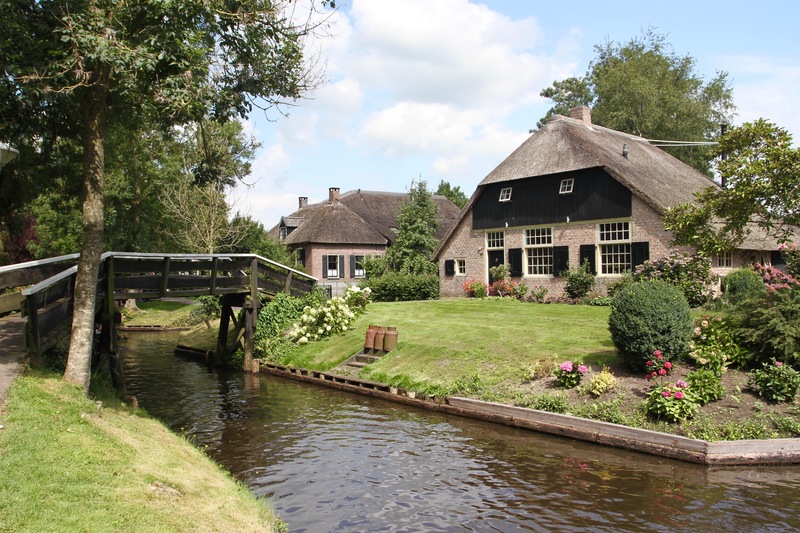 Geithoorn itself dates back to the early 13th century. The name means Goat Horn, because goat horns were discovered buried in the peat near here. 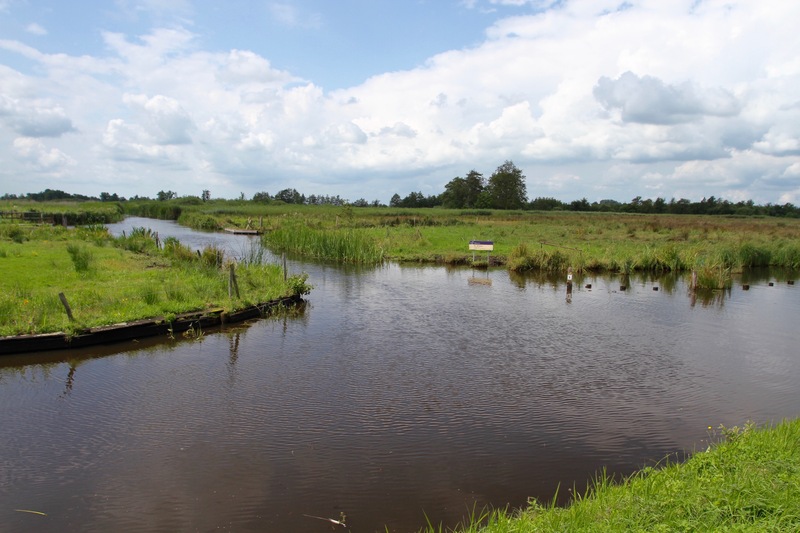 Peat was a major industry for the village and, in the surrounding area, there are dozens of man made lakes created by the digging of peat for fuel. 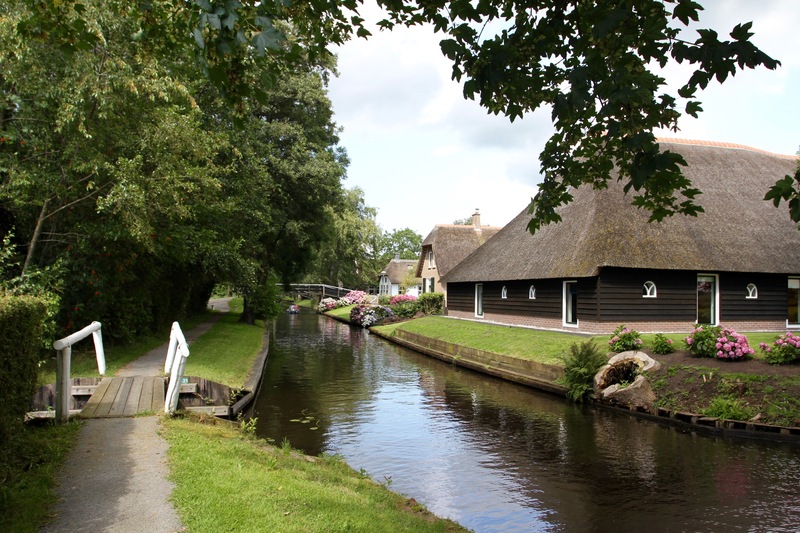 The village canals were dug so the peat could be transported more easily by boat. 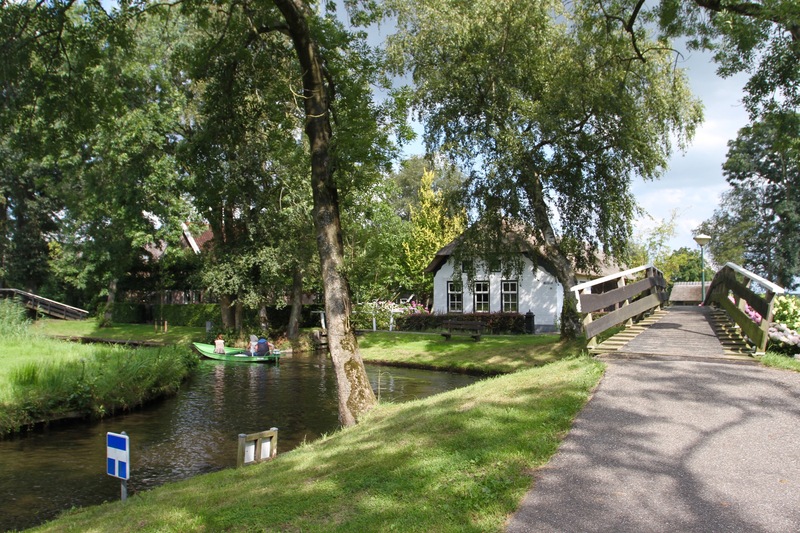 Today, this village of 3,000 people is connected by around 180 bridges, joining the many parcels of land that form Geithoorn. That probably gives Geithoorn more bridges per capita than almost anywhere else on the planet. Sadly, that achievement looks likely to be rivalled by the village’s tourist to resident ratio.